The New Brunswick Literacy Secretariat presented a literacy report to Minister of Finance Cathy Rogers in Moncton on Friday, wth 37 recommendations that would improve the province's low literacy rates. “There isn’t nearly enough sharing and perhaps being territorial, it just has got to stop and Minister I am sure that you will do this,” said Trenholme Counsell. The New Brunswick Literacy Secretariat presented a literacy report to Minister of Finance Cathy Rogers in Moncton on Friday, wth 37 recommendations aimed at improving the province's low literacy rates. Marilyn Trenholme Counsell, co-chair of the secretariat, called on minister Rogers to make changes happen through strong leadership. "I've been with this organization and attended meetings with that organization, wonderful work has been done but there's overlapping and there's not enough communication so that is one of the big challenges," said Trenholme Counsell. "There isn't nearly enough sharing and perhaps too much being territorial, it just has got to stop and Minister I am sure that you will do this." But while Minister Rogers said she is very committed to tackling the problem of low literacy levels, she did not announce any new money to make it happen. Trenholme Counsell (L) and Liane Roy (R) are co-chairs of the New Brunswick Literacy Secretariat. They presented their report to Minister of Finance Cathy Rogers. (Pierre Fournier/CBC)"Not all solutions lie in more money. There are a lot of solutions that come with working together." New Brunswick's deficit is estimated at $347 million in 2016-17. Trenholme Counsell agreed that what is already being spent could be better allocated. "Giving money here, giving money there, it doesn't necessarily achieve what it needs to achieve," she said. "This is a new opportunity to make sure that resources are used to the best possible extent." She suggested it start with asset mapping, to find out which groups are doing what and where. "I think this has been done before and I don't think it should take a lot of time." Trenholme Counsell suggested if literacy rates in the province are going to change, plans have to be turned into actions. "I noticed in the final report there's a call for a big meeting of stakeholders. We've done that so many times. A big meeting is great, we hear people and people meet each other, but I really think it's got to be determined leadership and a plan." According to Statistics Canada more than half of New Brunswick citizens between the ages of 15 and 65 do not have the necessary literacy levels to compete in the workplace. Rogers said the way to combat the problem, and implement the report is by creating a concrete action plan. "They have to measurable, they have to be evaluated along the way they have to be achievable and that's the only way we'll be successful." Trenholme Counsell agreed it's time something is done. 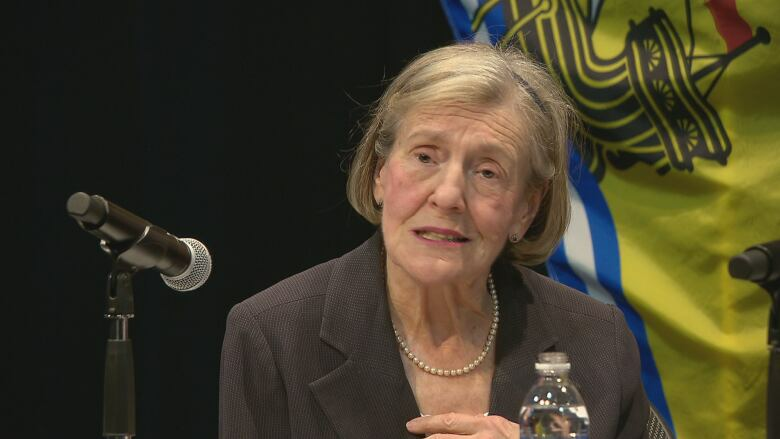 "It's not good for New Brunswick and it's certainly not good for our citizens."